a little guitar for giants. 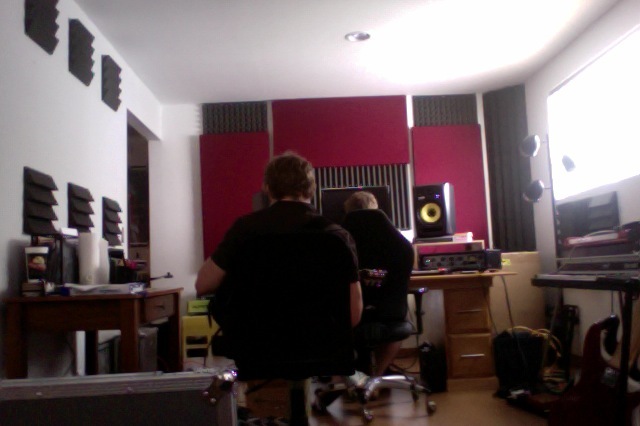 we’re recording electric guitar today! aaron krause is tracking the song “giants” on a gretsch guitar with tb pickups through a dr. z maz 38. “and it sounds perfect” – aaron. aaron krause is an amazing guitarist and producer. he’s worked with several different projects. many of them can be found here. i’m really excited to have him on this project! 2. find your own way home. 3. more than you could know. “kings” is the first of a two part project. this first ep is six songs and then another 6 song ep will be released in the months following. i can’t wait to share it with you!